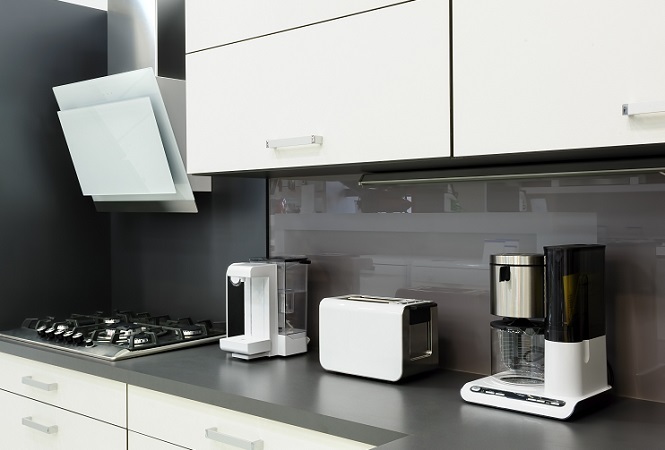 Contact us today to discuss how we can assist with your electrical appliances. A warning about leaving kitchen appliances plugged in! A modern kitchen design criticised as a fire risk has led to several callouts recently, the Fire Service says. Firefighters were recently called to deal with a smouldering toaster in a kitchen. It was in a cupboard with a slide-down door. “This is a modern design feature that allows people to open the sliding door and pull the toaster out. The power point is also behind the sliding door, a Fire Service spokesman said. “When people put the toaster away, the potential is there to slide the door down onto the toaster handle and re-engage it, leaving the element glowing permanently. This is the fourth or fifth time we have had to deal with an instance like this. “We would urge people to make sure the power point is always switched off after using a domestic appliance like a toaster,” he said. Never shut the door on an appliance while the power to it is still switched on. We can supply sockets with indicator lights to make it very easy to see if the power is on or off and help avoid a messy and costly kitchen fire.